If you want to hire a professional fishing trip service and if you are inexperienced about one, you have to first carefully study about how to choose such a trip, which factors to give priorities to, how to know if the service is reliable and professional, etc. Here are some tips for choosing one of the most perfect fishing trips. It’s not about only quality that higher price may offer. You should understand that quality also means that many extra things will be taken care of by the captain, such as licensing, training, bonds and other professional charges. It’s not necessary that everyone who offers fishing trip services is the most qualified to do these things; so, you have to be careful about bargain deals. Also you can take a precautionary measure by asking for your captain’s credentials. Don’t make haste of grabbing the first deal you see. Instead, shop around and you will see better options. Read prices and check if there are any offers; also check what their packages include. You should also read reviews given by their past customers. Read deeply those reviews which provide opinions rather than objective reviews. If there are several complaints or praises, you should take them into consideration. 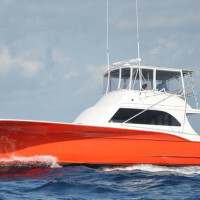 Even the grubbiest boat may offer you absolutely fun time and huge catches. Remember that it’s not the fishing craft that will make or break your day, but it’s the professionalism, personality and quality of your captain and crew. If you are based at a lodge, resort or hotel, ask them for recommendations. As they are local and regularly work with fishing trip services for themselves and their patrons, they can definitely recommend you names of trustworthy services. They may even work together to make sure that your trip goes fine. Ask before booking a trip what type of fishing they will be offering so you can know if it will suit your preferences, if you are experienced or can give you an approximation about what to expect, if you are new. You should also ask beforehand about the policy on catch of the boat. Do they catch and release? Will they keep your catch for themselves or you will get it? This is essential to know especially if you have some expectations from your proposed fishing trip. Gofish.fishing is an extremely useful portal to find a perfect fishing trip for you, because they have world’s largest selection of fishing boats which are truly excellent. The image in this article is their courtesy.